For Freedom Christ Set Us Free! So have you? 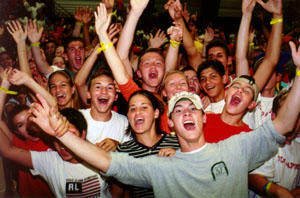 If you’re a teenager or a young adult—or a chaperone—who attended that conference, have you stood firm in your Catholic Christian faith? Have you been a good role model for your peers? Have you led others to Christ? Or have you slipped back into your old sinful habits? “For freedom Christ set us free.” Here in the United States many people think of freedom primarily in political or economic terms. Their reasoning process goes something like this: Our country is a representative republic; we have a democratic form of government. We can buy and sell products all over the world; we can openly share our ideas; we can own private property—thus we are free. Those who live in places around the world where rights like these are denied are not free. Let me give you a contemporary example of the latter, a contemporary example of freedom being abused. A man I know is presently involved in an adulterous relationship. It’s been going on for well over a year. He knows he should end it; every once in a while he talks about ending it. But it’s gone on for so long at this point that part of him does not want to terminate the affair. Does his conscience bother him at all? Of course, it does. That’s why he’s also become a heavy drinker! The alcohol helps him disregard the messages his conscience is continually giving him. Economically and politically, this man is free—completely free! He can own property; he can buy and sell legitimate products on the open market; he can speak his mind in public. But deep down inside (where it really counts), he’s a slave: he’s a slave to lust, a slave to drink, a slave to a lifestyle that’s destroying him emotionally, spiritually, and even physically! And the good news is, we can stay free—by the grace of God—if we use our freedom properly and choose to! Most of us are familiar with the Eucharistic Miracle of Lanciano, Italy. Way back in the 8th century, a Basilian monk of that city was having doubts about the Real Presence of Jesus Christ in the Holy Eucharist. He prayed to have those doubts removed. Well one day, as he was celebrating Mass, God answered his request in miraculous fashion by literally changing the bread and wine into flesh and blood at the consecration. The elements were never consumed; they’ve been preserved for 12 centuries at a shrine in Lanciano. The blood type is identical in the flesh and blood (type AB). The proteins in the blood are in the same proportions as those found in normal, fresh blood. This is probably the most famous of all the Eucharistic miracles that have occurred since Jesus instituted the sacrament at the Last Supper. A lesser known one took place in Portugal in the mid-13th century. I had the privilege last year of visiting the church where this miracle is preserved, the Church of St. Stephen in the town of Santarem. A woman who lived in Santarem at the time was greatly troubled by her husband’s adulterous behavior—as she should have been! Unfortunately, however, she made the mistake of going to the local sorceress—the local witch—to find a solution to her problem. So the woman pretended to be ill and went to see the local priest at St. Stephen’s, asking him for prayers and for Holy Communion. The priest innocently gave her the Eucharist, which the woman took out of her mouth (obviously when the priest wasn’t looking) and put into the veil she was wearing on her head. But she never made it to the witch’s house. As the woman left the church, the host began to bleed! She panicked (which is quite understandable! ), ran home with the bleeding host, and put it into the cedar trunk where she kept her clean linens. During the night, however, the woman and her husband were awakened by bright rays of light coming from the trunk. At that point, she confessed to her husband what she had done. Not surprisingly, both were converted on the spot! The two spent the entire night in adoration of the Blessed Sacrament. Some neighbors also saw the light that evening, and they began coming to the house the next day. Finally the parish priest was told. He took the Eucharistic miracle back to the church, where it’s been ever since. I tell this story on Corpus Christi Sunday because of something I saw on my way to the Church of St. Stephen last year. We came into town that day on a bus—a 48 passenger coach. Now busses of that size have no problem negotiating the relatively wide streets of Westerly, but they do have a big problem getting around old European towns like Santarem, where many of the roads are extremely narrow. Consequently, we were forced to park about a half mile away from the church, and walk the remaining distance. Well, during that little stroll, we passed a building that was marked: “Assembly of God Church.” It was less than a quarter mile from St. Stephen’s. Because members of the Assembly of God Church do not believe in the Real Presence of Jesus Christ in the Holy Eucharist; they do not believe in transubstantiation! For them, the Eucharist is merely a symbol! Here we have people who are living and worshipping just a couple of blocks away from a genuine Eucharistic miracle, and they still don’t believe! So I guess we shouldn’t be surprised at Catholics in our part of the world who don’t believe in the Real Presence! Nor should we be surprised at Catholics who miss Mass on Sundays and Holy Days (like Ascension Thursday a few weeks ago), and don’t think twice about it. Nor should we be surprised at Catholics who come to Communion after they miss Mass without going to Confession first. Nor should we be surprised that so many people come into church and fail to genuflect to the tabernacle (either before they take their seat or before they go over to the statues to light candles). Nor should we be astonished when people receive the Holy Eucharist at Mass and walk right out of church afterward—even though they’ve been told it’s wrong by their parish priest 1,001 times (and since I’ve been here for 15 years, that number is no longer an exaggeration!). If there are people in Santarem who lack faith in the Eucharist even though they live in such close proximity to a Eucharistic miracle, why should we expect a different situation here? But, thankfully, there are many others in this part of the world who do believe, and who do have a great love and appreciation for the Blessed Sacrament. The effect of the Holy Eucharist in this man’s life will probably never make headlines like the miracles of Lanciano and Santarem—but the strength and help he’s received are miraculous nonetheless. And he’s not alone. For those who receive Holy Communion with faith, for those who receive humbly and worthily, for those who receive prayerfully and with open hearts, a similar type of miracle takes place through the Blessed Sacrament. 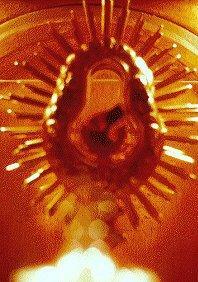 And, in many respects, my brothers and sisters, those are the greatest Eucharistic miracles of all! Dan Brown Does Not Believe! 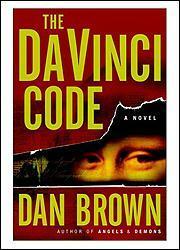 Dan Brown, of course, is the much-celebrated author of the very popular novel, The DaVinci Code. After reading his book as part of my Lenten penance this year (I’m not kidding about that, either! ), I offered my brief evaluation of it during the homily I gave at the Mass of the Lord’s Supper on Holy Thursday night. Since many of you were probably not present for that Liturgy, I will summarize my review for you this morning with the following statement: What rot!!! This book is designed to smear not only the Catholic Church, but, even more importantly, it’s designed to smear our Lord and Savior Jesus Christ! In so doing, it attacks the very foundation of the Christian faith! And yet I’ve actually heard many Catholics and other Christians praise the book endlessly! They talk about it as if it’s a classic on par with Dante’s Divine Comedy or Virgil’s Aeneid! These people must not understand their faith! If they do understand it, and still think the book is wonderful, then all I can say is they should be ashamed of themselves! How would you feel if someone wrote a book like this about your mother, falsely portraying her as a prostitute? Would you be offended, or would you say, “Oh well, it’s just a novel.”? How would you feel if someone wrote a book like this about your father, falsely portraying him as a terrorist?—as an Al Qaeda operative living in this country? Would you be angry and offended, or would you say, “But it’s only fiction.”? If we would be upset at our relatives being smeared in novels (and we all know we would be! ), how much more should we be angry and offended when the one being attacked is our Creator and our Savior?! The fact is, this novel is filled with lies and historical errors—far too many to be mentioned in a Sunday homily. But there is one lie—one falsehood—that undergirds most of the others. And this is relevant to the theme of our Mass on this Trinity Sunday. It’s the lie that says the Church “invented” the divinity of Jesus Christ at the Council of Nicaea in 325 A.D.
That is a gross, horrible misrepresentation of the truth! 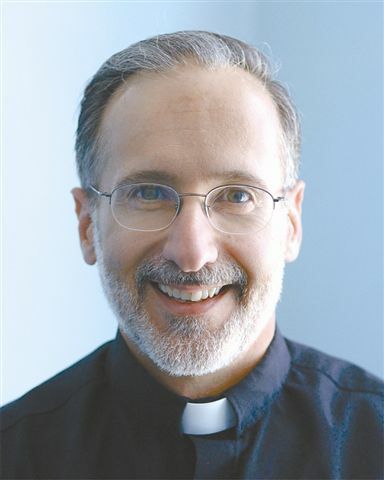 As Deacon Fran rightly pointed out in his homily a few weeks ago, the Church did not “invent” the Lord’s divinity at that council; rather, the Church defended her belief in the divinity of Jesus at Nicaea against the heretic Arius and his followers, who were going around teaching people that Jesus was something less than God, and who were influencing even many bishops with their false doctrine! The fact that the earliest Christians believed Jesus was God is extremely easy to illustrate. All you have to do is open up the Bible! What the early Christians believed about Jesus’ divinity is crystal clear from those 3 verses alone! Here we have a text that implies that both Jesus and the Holy Spirit are divine! Of course, that’s just what the Church teaches today, isn’t it? This truth about the inner life of God is at the very foundation of our Catholic, Christian faith. That’s why it’s so important! That’s why the Church called an ecumenical council to defend it in the fourth century! Think about it, my brothers and sisters: If Dan Brown is right; if Jesus Christ is not divine and there is no Blessed Trinity, then almost everything else we believe as Catholics has got to be false! If Jesus is not God, for example, then he couldn’t possibly have died for the sins of the whole world! If Jesus is not God, then he couldn’t have risen from the dead by his own divine power! If Jesus is not God, then he certainly can’t be present in the Eucharist or in any of the other sacraments! If Jesus is not divine, then his words are simply the words of an ordinary man; they’re not the words of the Creator of the Cosmos. And if they’re only the words of a man, we can choose to treat them as such: we can accept them if we so desire, but we can also ignore them or reject them if we wish. Dan Brown ultimately wants to discredit Christianity—and especially Christian moral teaching—by means of this novel. That’s his true purpose! And he’s a very smart guy: instead of attacking individual Christian beliefs as some others have done in the past, he’s decided to go after the foundation of those beliefs. He knows that if you destroy the foundation of any house, the whole structure eventually crumbles. So he knows that if he can undermine and destroy people’s faith in the Blessed Trinity, the rest of their Christianity will very quickly disappear. Dan Brown does not say “Amen” to that foundational belief of the Christian faith.